When it comes to bringing modern-day conveniences together with top-tier safety and a luxurious driving experience, few brands manage to do better than Chevy. That’s because this classic American car brand has decades of experience pushing the boundaries of what a modern car can truly be. And with each passing model year, we’re more and more impressed with everything that Chevy has to offer – whether it’s amazing hybrid performance that helps save at the pump every single day, or plenty of power to keep us moving strong even when the road ahead seems a little rough. That’s why we’re so impressed with the new 2017 Chevy Cruze, a powerfully distinctive model that’s ready and able to be exactly the kind of vehicle that you need it to be. That’s because the 2017 Cruze comes fully loaded with all of today’s most important accessories, from luxurious and convenient styling throughout to make each ride an experience to remember, to a powerful engine that won’t let you down even as you fly by gas station after gas station. And to top it all off, the 2017 Cruze carries with it that Chevy guarantee of safety – bolstered only by the wide array of advanced safety tech that comes standard in each and every Cruze. If there’s a model that we’ve all been looking for to meet just about every basic need in the book, this sporty sedan or hatchback Chevy seems like exactly what we were waiting for. Here’s a quick look at just about everything that a future Cruze driver can expect out of this amazing model, and just why the 2017 Cruse is easily one of the most impressive offerings we’ve seen in a long time. Whether you’re an outdoor enthusiast, a craftsman, or avid gardener, the 2017 Chevy Cruze hatchback – the first of its kind – offers the best of the Cruze’s features, while providing ample room for all your gear. With the second row of seats folded down, the upcoming Cruze hatch provides you with 47.2 cubic feet of room to keep your gear, tools, or plants organized. A few traits shared with its sibling include the 1.4-liter turbocharged engine, generating 153 horsepower, with maximum fuel efficiency rated at 30 city and 40 highway mpg. Available in two trim levels – the LT and Premier – both provide plenty of fun features, but the top-tier Premier provides a few extra creature comforts, like heated front seats standard and optional heated back seats. Operated by manual or automatic transmission, the new Chevy Cruze hatchback boasts the same technological innovations as the Cruze sedan, including first in its class built-in 4G LTE Wi-Fi, Chevrolet MyLink, and a seven-inch diagonal color touchscreen. Whether your affinity is for Apple or Android, the Cruze hatchback has you covered and is compatible with both systems. For drivers ready for the best of the 2017 Chevy Cruze, but with a sporty look and so much space, the hatchback variant is worth taking for a spin. Need to cut back on fuel expenses without sacrificing even an ounce of pure driving pleasure? Introducing the 2017 Cruze’s 1.4-liter turbocharged four-cylinder engine, a powerfully scrappy machine that will surprise you two ways: how much it can deliver, and how small of an appetite it really has. That’s because this impressive offering can pump out up to 153 horsepower and 177 lb-ft of torque, meaning you’ll be able to take on everything from inclines to sand-slides with no trouble to be had. Plus, this highly efficient example of Chevy engineering can last up to 40 highway miles per gallon, meaning you won’t have to watch your wallet empty out every time you go for a long drive in this impressive Chevy. Four anti-lock disc brakes, suspension with MacPherson struts up front and a compound crank with Z-link for enhanced rear stability in the back, and Chevy’s StabiliTrak electronic stability control tech all help keep you and your 2017 Cruze grounded no matter what the road conditions might be like, and the standard 6-speed manual or available automatic transmission help you take control and stay in the zone while out on the road. With all this, you’re bound to find that even with all that efficiency you’ll still be out in front of the pack. Chevy knows that not every driver is the same – and when it comes to buying a new mid-size, that choice becomes clearer than ever. 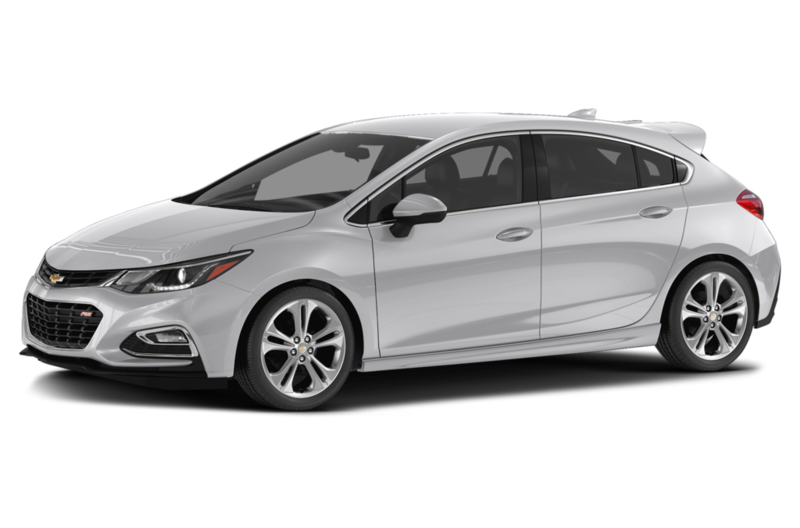 That’s why Chevy decided not to limit the power of the 2017 Cruze to just one lifestyle, and with the introduction of the hatchback body style on this impressive model it’s clear that a great Chevy is for anybody. This roomy hatchback provides a whopping 47.2 cubic feet of available cargo space, meaning you’ll never have to leave home without all your most important gear again. Comfortable seating for five dramatically transforms into a huge amount of space thanks to a folding rear row and folding passenger’s seat, meaning you can ride solo with all your worldly possessions or simply take the family for a nice day on the beach. Whatever your destination, this hatchback is sure to fit you and just about anything else you’ll be inspired to bring along. Plus, the ride isn’t too bad either. Distinctive sculpting along the dash helps give this sporty model its fierce look, while accents like available leather seat trim and power, heated front seats help you and all your riders stay cozy even on those long drives out of town. The available Chevy MyLink infotainment system helps you seamlessly connect with your favorite smartphones and mobile devices through Apple CarPlay and Android Auto, while hands-free voice connectivity helps you stay connected without getting distracted out on the road. Whatever your preference the 2017 Cruze is designed to suit you – no matter what kind of vehicle you need it to be. Step into the cockpit and you’ll find a ride that’s ready to suit your needs – just make the connection and get on your way in style. Of course, with all that power and all that excitement, it’s equally important to make sure your Chevy is there for you when you need it most. That’s why Chevy has fully loaded the 2017 Cruze with everything from 10 advanced airbags to a standard Rear Vision Camera, fusing preventative and responsive safety technology into one cohesive system to make sure you and all your passengers stay out of harm’s way as much as possible out on the road. 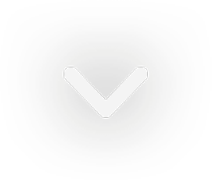 Teen Driver technology allows parents to set limits on things like speed and music volume for drivers who may be new to the road, with progress reports available to inform parents of things like speeding and sudden stops. Plus, the standard OnStar safety system provides Emergency Services and Automatic Crash Response to be there in the rare event that something terrible were to happen – meaning you can drive with peace of mind even when exploring unfamiliar trails. The 2017 Cruze also offers a wide array of available safety options to further bolster your security out on the open road. Rear Cross-Traffic Alert helps making pulling out of those tight or bling parking spots easier and safer than ever, while Rear Park Assist helps you maneuver into any spot with the grace of a professional parker. Plus, preventative features like Side Blind Zone alert with Lane Drift technology helps you stay properly aligned out on the highway, and removes the threat of those dangerous blind spots obfuscating some unseen danger nearby. With all this tech working seamlessly behind the scenes, you’ll be the safest driver out there – all thanks to your impressive new 2017 Chevy Cruze. If you’re ready to quit stalling and get yourself into a great new Chevy Cruze, there’s no better place to find yours than Chevy of Naperville. 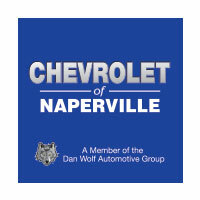 With an expert sales staff ready and able to help you find the right Cruze for you, Chevy of Naperville is proud to be your best resource for great Chevy vehicles in the Naperville area. Head on down for a test drive and see just how much the 2017 Cruze can do for you – and don’t be surprised to find yourself dreaming of one in your driveway after just a few minutes out on the road. After all, it’s a Chevy – and who wouldn’t love a modern American classic as a reliable daily driver, especially one as luxurious as the 2017 Cruze? Try one out and you decide – the Cruze is waiting for you.